A sample figure with default 'pdf' device. Same figure, with 'png' device. In the first graph the circles are not drawn, while the second graph is fine. Any suggestion? 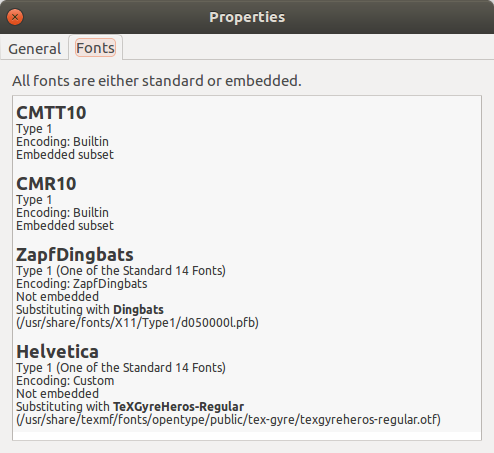 The cairo_pdf device can be used instead. This device does not use a circle character from a font (the circle is drawn directly). 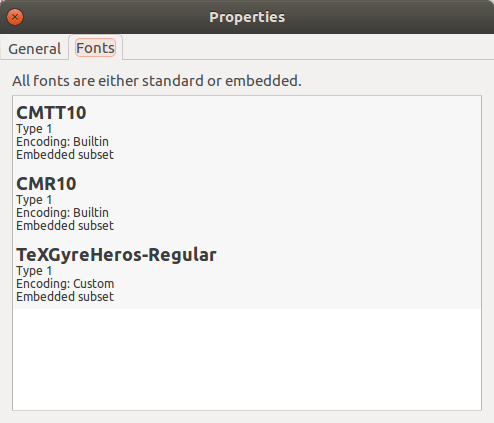 Moreover, all fonts are embedded. Note that with cairo_pdf the circles are not selectable/searchable, but that is not likely to be a problem. Not the answer you're looking for? Browse other questions tagged symbols pdf r knitr or ask your own question.